UP CLOSE AND PERSONAL The near-Earth asteroid Ryugu, as seen on June 26, is small, diamond-shaped and covered in boulders. Japan's Hayabusa2 probe will touch down on Ryugu's surface for the first time in October. Landing sites on the asteroid Ryugu for the Hayabusa2 spacecraft and its hitchhiking landers have been picked out, scientists with Japan's Aerospace Exploration Agency announced in a news conference on August 23. Hayabusa2 arrived at the 1,000-meter-wide asteroid on June 27, and has been scanning the surface since. More than 100 mission team members met on August 17 to choose the first spots for the spacecraft to land. The team decided that the two landers, called MINERVA-II and MASCOT, will touch down on the diamond-shaped asteroid's surface first. MINERVA-II, which carries small hopping rovers equipped with cameras and other instruments, will land at a spot near Ryugu's north pole on September 21. MASCOT, a tumbling rover, will land closer to the south pole on October 4. The craft will roam the landscape making measurements of the asteroid's composition, temperature and magnetic properties. The main body of Hayabusa2 will join them in late October, touching down at a point near the asteroid's equator and gathering a sample of dust there. The mission team looked for regions 100 meters in diameter that were relatively flat, with slopes less than 30 degrees and with few boulders. 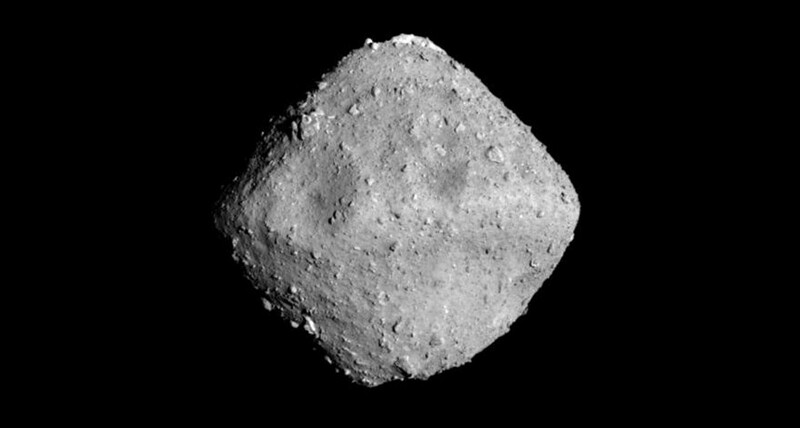 Ryugu turned out to be strewn with more boulders than expected based on the first Hayabusa mission, which brought back bits of a smoother asteroid called Itokawa. But the observations from orbit suggest Ryugu's surface is well-mixed, meaning that no matter where Hayabusa2 lands, it has a good chance of picking up something interesting. The spacecraft will collect samples from two other, still unknown sites over the next 15 months before returning the samples to Earth in 2020.